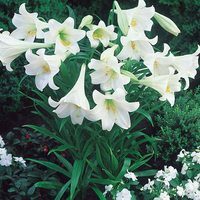 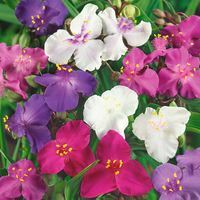 Star shaped and very attractive, a pure white colour with violet-carmine blotches in the centre, bearing long grassy leaves and tall stems, up to 60cm. 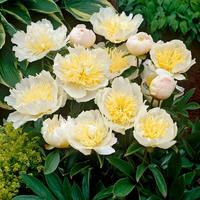 These very sweetly scented flowers are incredibly popular and have won the RHS Award of Garden Merit. 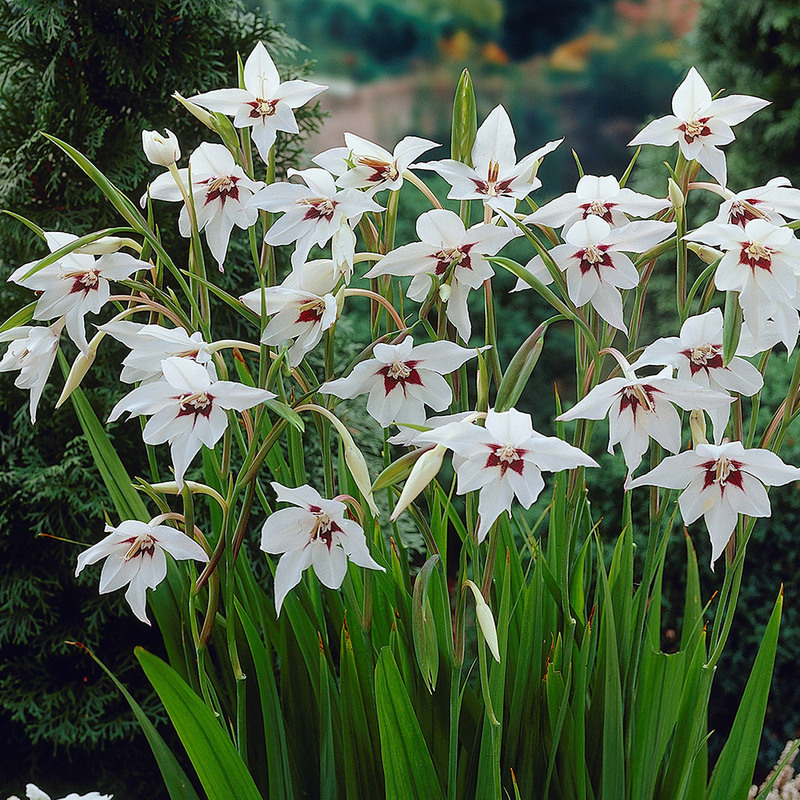 Several flowers are produced by each bulb. 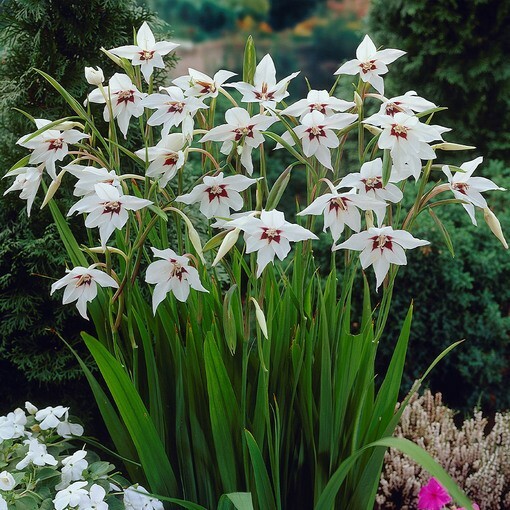 These can be treated as Gladioli but should be planted later, ideally late April/May. 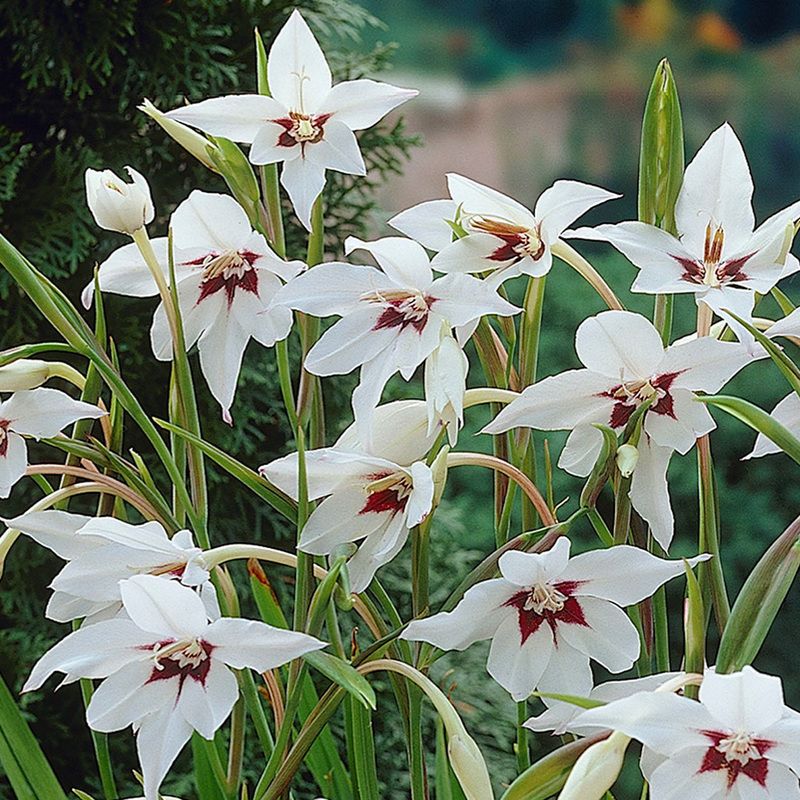 Supplied as 6-8cm bulbs. Treat as for Gladioli but do not plant before the middle of April, beginning of May. 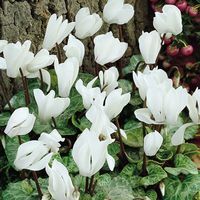 Water regularly once flowering begins.